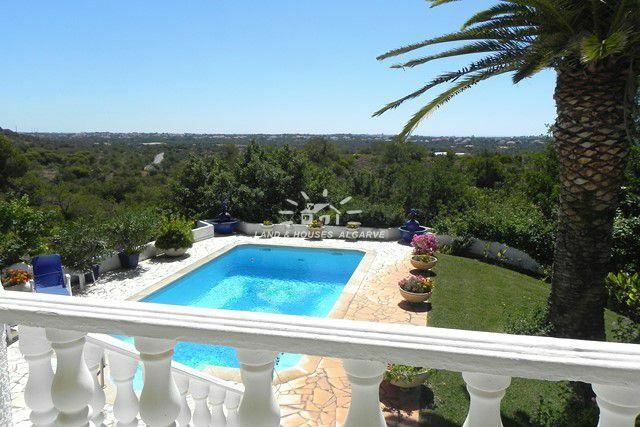 This traditional south facing villa with pool sits on a large and peaceful plot with fantastic views to the countryside and towards the sea. 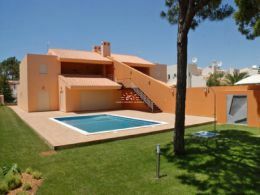 The house enjoys panoramic views and its only a short drive away from all the amenities in Almancil and Vilamoura. 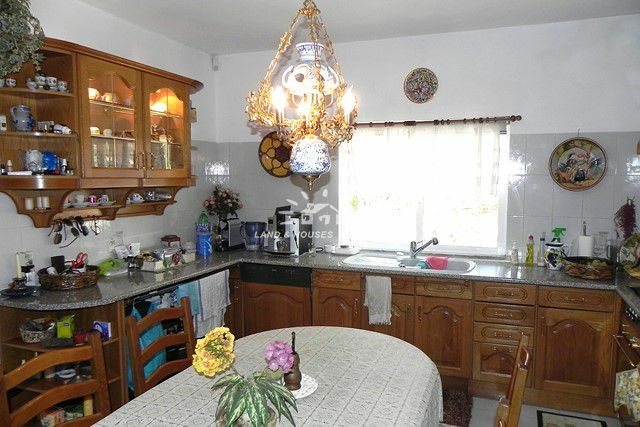 The villa consists on the ground floor of a rustic fully furnished and equipped kitchen with dining area and adjacent utility room. 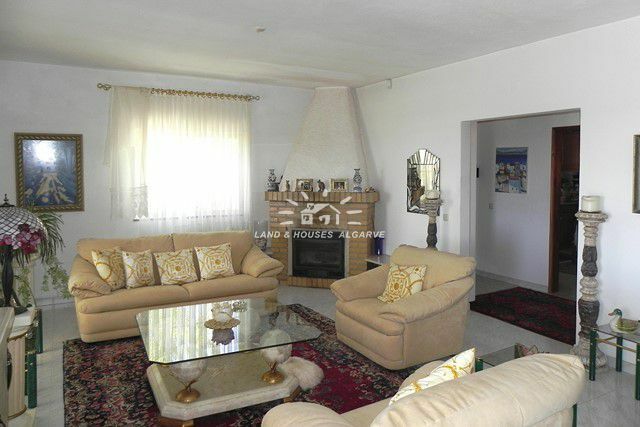 The large bright living room with fireplace gives direct access to the large south-facing, covered terrace. On this floor you also find 2 bedrooms and 1 family bathroom. In the first floor are further 2 bedrooms with fitted wardrobes, bathrooms en suite and private south facing terraces. The awnings and lockable glass doors on the main terrace ensure a pleasant temperature in summer and winter. From the main terrace you have access to the pool, which is surrounded by a landscaped garden with many palm trees, fruit trees, olive trees, etc.! A cosy seating corner in the shade near the barbecue invites you for great dinners al fresco. On the lower part of the plot is ample parking space for many cars. 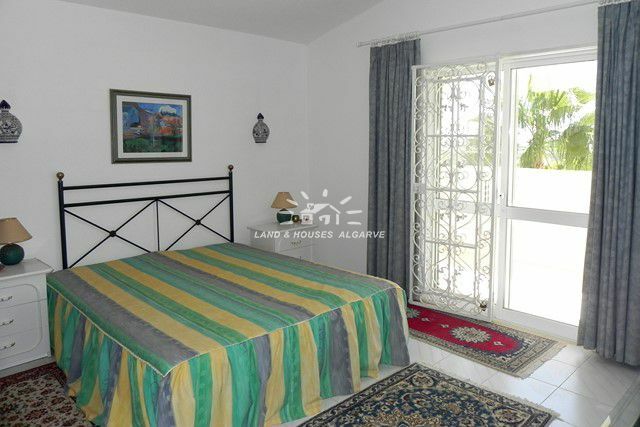 You also find here a legal guest annex of about 30 m2. 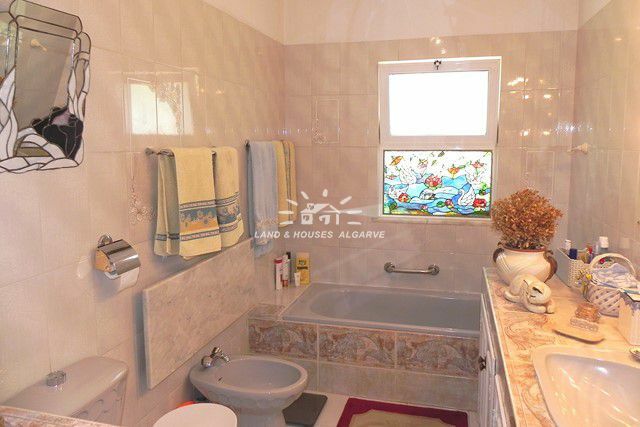 Details: Double glazing, aluminium shutters, window grilles, alarm system, partly air conditioning, storage heating, SAT-TV, telephone, Internet, legal borehole, cistern, automatic irrigation system, garage. 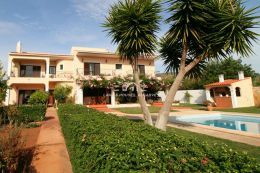 A villa in a privileged private location with lots of potential.